Transplant 3 Trees in Sarjapura! With the recent Road Widening on Dommasandra to Sarjapura Circle, the resident of this locality found all Trees are getting Axed. 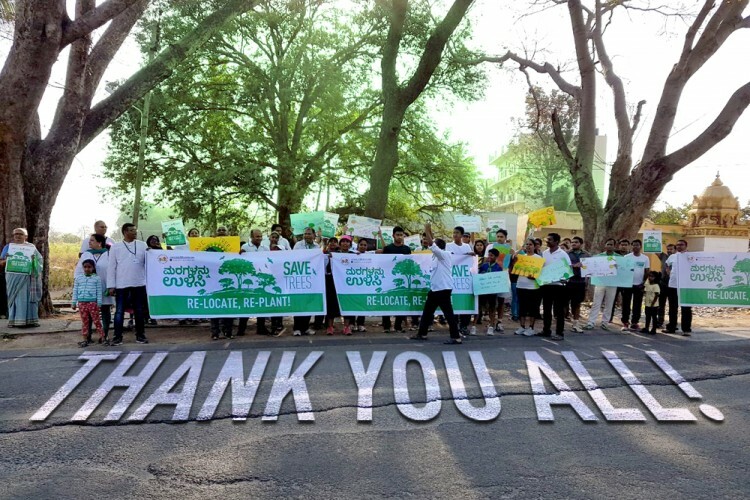 Some of our passionate 'Tree Loving' residents felt, we need to Save atleast the Banyan and Peepal trees which as been alive for the last 50+ years (atleast). With the latest Technology, we realised Trees can be Re-located, Re-planted, without any hindrance to Infrastructure Development. Sarjapura.RWA® (SRWA) is a Federation of Residents Association with approximately 30+ Apartments as members in the group, decided to go the Crowd Funding way, Resident & Public Contribution of Rs. 3 lacs to Save this Age old Trees and for it's immediate care, after Transplantation. We have taken the responsibility to Transplant them, by 13th of May 2017. Please extent your contribution to Save these 3 Trees. Since the Road Works is in progress, We are left with very few days to move these trees. 5. We were instrumental in lowering Property Tax slab in some of the Panchayat limits. 6. Conducted essential meetings with Government officials and Apartment / Villa Residents to address common Amenities issues, Power BESCOM, Law, Traffic concerns etc. 7. Extended our help to Chennai Flood Victims last Year with essentials. 8. Conducted Kite flying event for SRWA families. Your share could be as good as a donation for sarjapura.rwa! Not everyone can afford to take care of their loved ones. sarjapura.rwa's life can only be saved by donations made by kind people like you.